Leader in specialty chemicals, Clariant, is introducing Mevopur, a family of colour and additive solutions for medical devices and pharmaceutical packaging. The new products, debuted at CPhI worldwide, aim to combine the benefits of the company’s previous formulation, along with the manufacturing approach with Clariant’s Hi Former liquid-vehicle technology. The products will also be presented at the K 2016 plastics show in Dusseldorf, Germany. The initial product releases will include a transparent amber colour concentrate suitable for materials typically used in pharmaceutical packaging. The benefit of these concentrates is that the ingredients used in the formulation of the concentrates are evaluated to industry standards, helping to reduce the risk of interaction with the body or drug. 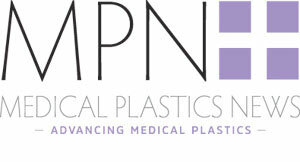 Mevopur concentrates have been developed for silicone elastomers, which have become materials of choice for a wide range of healthcare applications in sealing, wound care, tubing, catheters and, more recently, in personal monitoring devices Benefits include strength durability and flexibility which are among the most tested polymers for biocompatibility and hypo-allergenic properties. In the liquid silicon rubber (LSR) process, components are molded by combining and cross-linking two liquid components. Colours and functional additives in liquid form are needed so they can be introduced at the mixing station. Existing dosing equipment can be used or Clariant can offer a customized Hi-Former dosing and handling system that interfaces with existing processing equipment. In addition, Clariant plans to introduce a Mevopur LQ range of functional additives that is similar to those already available in solid form. The specific carrier systems have been developed by the Hi Former liquid masterbatches team for high compatibility with silicone resins. The same risk-management support is also available to manufacturers of pharmaceutical packaging and Clariant is introducing Mevopur-LQ-Amber, a liquid color masterbatch developed for PET and PETG polyester packaging. Colors such as yellow, amber and red are often used in transparent packaging to protect pharmaceutical products from degradation by filtering light of specific wavelengths. Solid-based concentrates in the existing Mevopur range are often used, but liquid technology offers some advantages in transparent or translucent polymers like PET. Laboratory testing has shown a reduced risk or leaching and drug interaction and the new batches offer regulatory declarations to US Pharmacopeia and the relevant European Pharmacopeia.